Ridge is a hamlet and census-designated place located in Suffolk County, Long Island, New York. The community has large tracts of woods which include state conservation areas that interlace with neighborhoods old and new. As of the 2010 census, there were 13,336 people, 5,714 households, and 3,526 families residing in the CDP. The median income for a household in the CDP was $64,140, and the median income for a family was $80,039. Males had a median income of $69,539 and only $51,384 for females. The latitude of Ridge is 40.893N. The longitude is -72.896W. It is in the Eastern Standard time zone. Elevation is 92 feet. 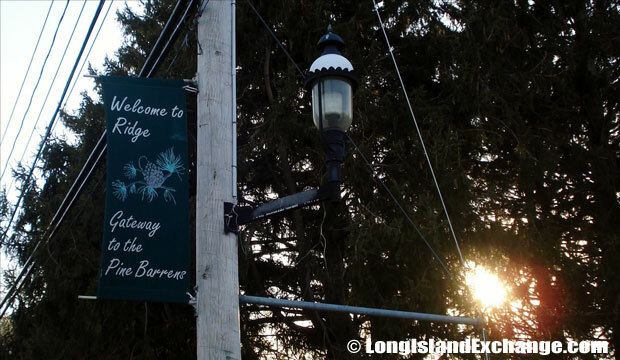 A sign welcomes visitors and residents to Ridge, the Gateway to the Pine Barrens; Ridge Veterans Memorial. This monument is dedicated to all off the members past, present and future of the Ridge Volunteer Fire Department, September 25, 1993. 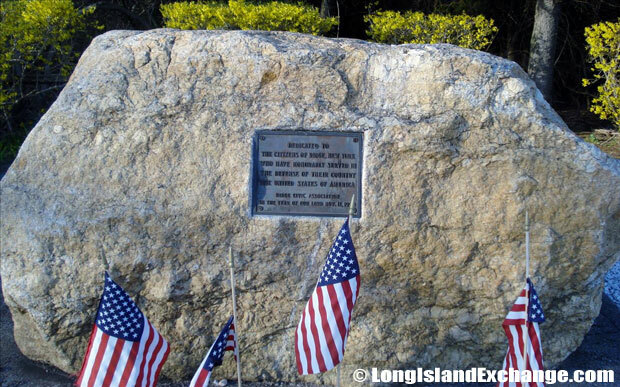 Memorial stone dedicated to the citizens of Ridge. The Pine Trail Nature Preserve, or Paumanok Path as it is known here. Northern Ridge was settled by widower Samuel Randall and his only son Stephen Randall which they farmed a 4,000 acre on a plot of ground that Samuel had always referred to as “the Ridge” based on the geographical terrain. The former and merged names include Ridgeville and then later called Ridge was the name selected by its residents for postal delivery and remains the name of the hamlet in the present day. 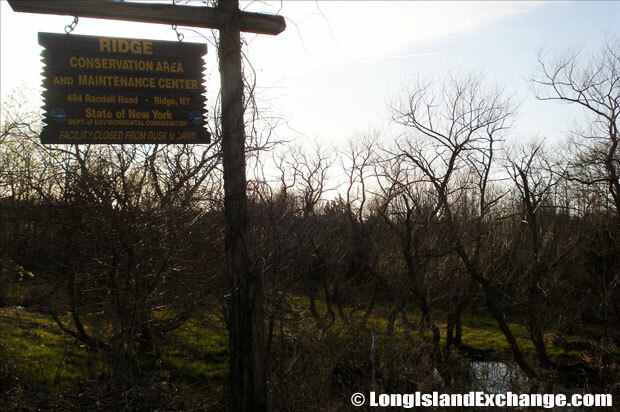 The Ridge Environmental Conservation area on Long Island. Ridge, the Gateway to the Pine Barrens. The racial-makeup of Ridge comprises of 92.99% White, 3.45% African American, 0.28% Native American, 0.90% Asian, 0.03% Pacific Islander, 0.75% from other races, and 1.59% from two or more races. The community is served by Longwood Central School District which also includes neighboring hamlets such as Middle Island, Coram, Yaphank, and parts of Shoreham, Medford, and Miller Place. Firemen’s Memorial Park, also known to locals as Fireman’s Field. The Brookhaven Volunteer Firefighters Museum. 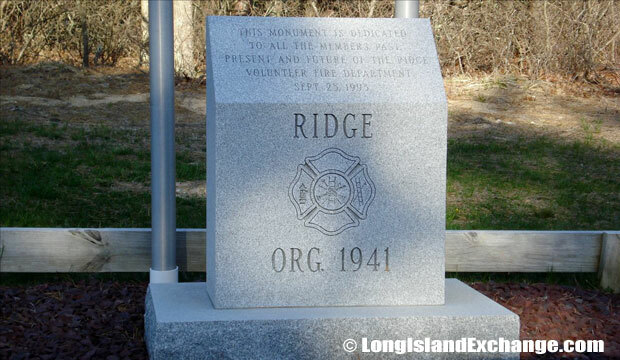 The Ridge Fire Department has served the community since the 1940s. In fact, there’s a museum on firefighters there which has a collection of equipment and aids used over the decades, uniforms, and vintage photographs. The Longwood Estate on Smith Road was built in 1790 and housed a School in the 19th century which is considered an important landmark in the area and also used for Fairs and other public events. Company One of the Ridge Volunteer Fire Department. There are lots of outdoor activities in Ridge which includes hiking, horseback riding, fishing, and hunting or golfing at public courses. In terms of their economy, the Real Estate Market has a big contribution with several home styles to choose such as contemporaries, ranches, high ranches, Victorians as well as Colonials. Home price value starts at $250,000 to $700,000 on high-end houses.